I have to tell you one of the first coupon blogs I began reading was Money Saving Mom! She has great ideas when it comes to saving money and managing your life and home. 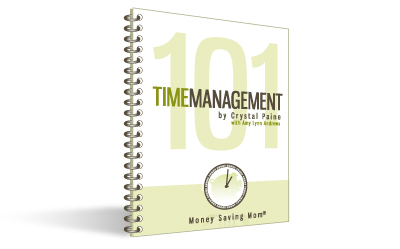 I am excited she decided to compile her Time Management 101 series into a FREE downloadable e-book! You can read more about it and download it here.